I gave a speech at the annual Wired conference this morning – I thought I’d share my notes – I’m sorry they’re not fully written up but I thought they still make some sense. I owe thanks to the brilliant Amanda Foreman who drew my attention to the nomadic people of the Steppe. Apologies if I spelt the professors name wrong! Women recognised cos of their skills. LIFE CREATES SOME FUNNY PATTERNS DOESNT IT? or that my own journey over the next ten years would lead me to the internet – arguably the ultimate weapon for us as individuals and us as a society. and when i embarked on my adventures with the internet in 1997 i certainly thought that it would be a democratising, empowering force for men and women… that we would see a diverse, balanced workforce emerge in this new industry. so, one of the most baffling aspects of the internet sector to me, a dot com dinosaur, is that it hasnt been and that numbers of women in our industry are at best plateau-ing and at worst going down. whats this got to do with the plains of mongolia? well, i think that we need to think about creating a new army of warriors – digital warriors – digital women warriors… taking our inspiration from the nomadic plains. peoples we are, we are fighting chronic disease, climate change, massive inequality and we need warriors to help us. Digital warriors. The answers will be organized around the Internet. cos in fact women haven’t always been so absent from our industry. starting with bletchley park through to the advent of computing. ERNIE and premium bonds machine operated by women. Not on easy projects – black box for concorde, polaris – hardly a walk in the park. WE KNOW COMPANIES WITH MORE DIVERSITY HAVE HIGHER PROFITS AND WE KNOW THAT THE WHOLE ECONOMY BENEFITS when more women are employed. Most importantly the digital sector is undrpinning everything and IS THE ECONOMY of the future so lets get ahead and become the most talented country on the planet. on top of that, its just dumb to release products with no involvement from women when we *might* be half your customer base – are you listening apple? no periods on your health app? there is so much happening in the uk – from go on uk’s focus on making sure everyone has basic digital skills (foot soldiers) to the awesome anne marie inmafidion encouraging stem to sue black and tech mums turning people into mini entrepreneurs but lets be bolder. Lets think about the incredible opp that the uk, a small country with small pop has to create a kickass army of digital warriors. women armed with the weapons of the 21st century. Not just coders but product designers, marketeers, founders, investors…. how about a big vision, some new funding and a shared sense of purpose? doteveryone is a new kind of public organisation i am starting to help make the uk brillliant in the networked age – and being brilliant in the networked age means championing the role of women. AS THE SOCIAL ENTREPRENEUR WHO FOUNDED WORLDPULSE SAID RECENTLY – I BELIEVE A WOMAN WITH A LAPTOP IS MORE POWERFUL THAN A MAN WITH A GUN. 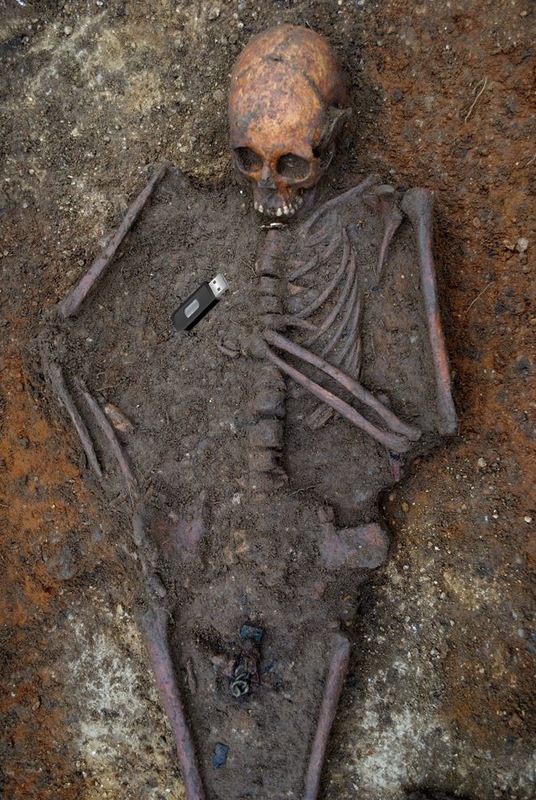 So, just as they reassessed those 7th BC graves and found the women were buried with bows and arrows – what will the archaeologists of the future find? usb ports? microchips? Let’s make sure they look back at us in awe when they find a grave like this? Read your speech in the Observer and think it makes total sense. I’m a woman in my 70s . . . Relatively early adopter . . . Game player in the eighties . . . Still playing games, occasional blogging with amateur skills. A retired academic I’m a computer buddy volunteer in my local library but am underused . . . Only the odd hour or so every fortnight. How do I become a warrior? I agre with everything you say but can’t find a clear inroad into making a difference . . . Not necessarily an entrepreneur but intelligent, fit and . . . Say it again . . . Underused. There must be thousands like me. Somebody needs to establish a practical way to help us connect with the need. Please. Sigh. I don’t want to be a ‘woman warrior.’ I don’t want to be fierce and amazing. I want to go to work and do a good job, get raises at the same rate as my colleagues, not be expected to be some sort of den mother at 35, not have to constantly prove myself to be accepted as as talented as a man, and not have people assume I’m a secretary. That’s it. That’s all. Why is that not enough? thats 100% right – i dont know if you watched my talk but i wasnt using warrior in the way you inferred – i was saying in the nomadic peoples there was no gender segregation in the warriors and we should take inspiration… I agree with you.